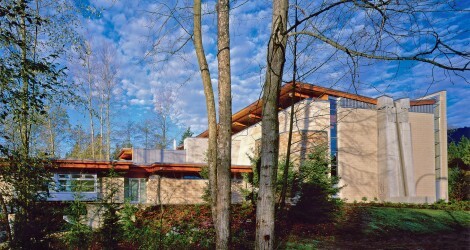 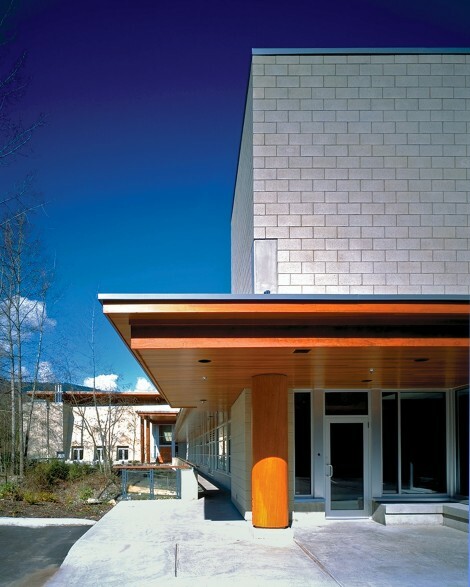 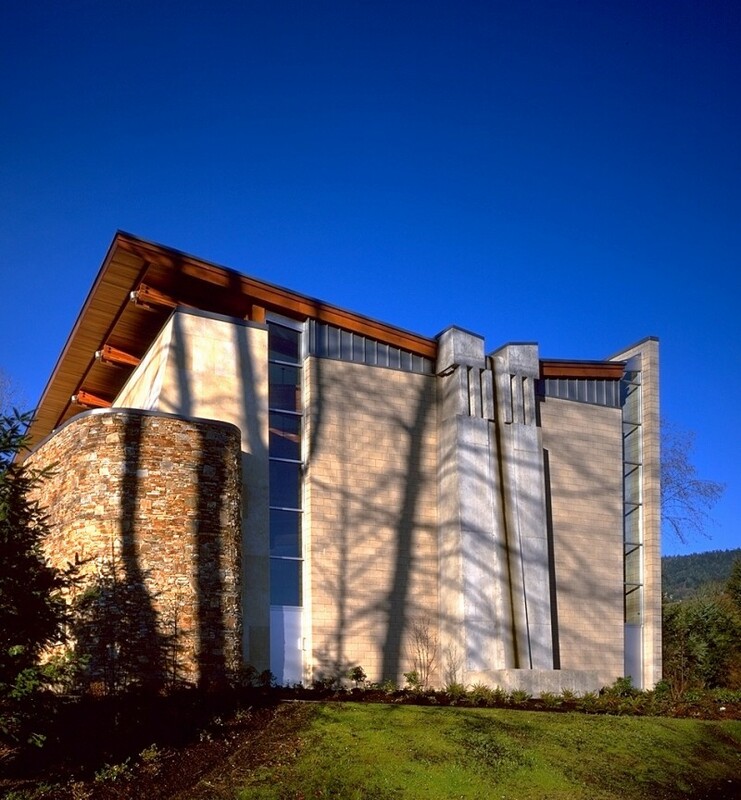 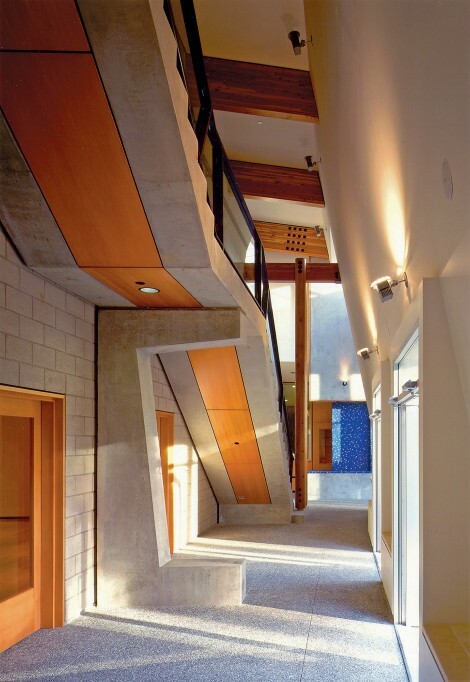 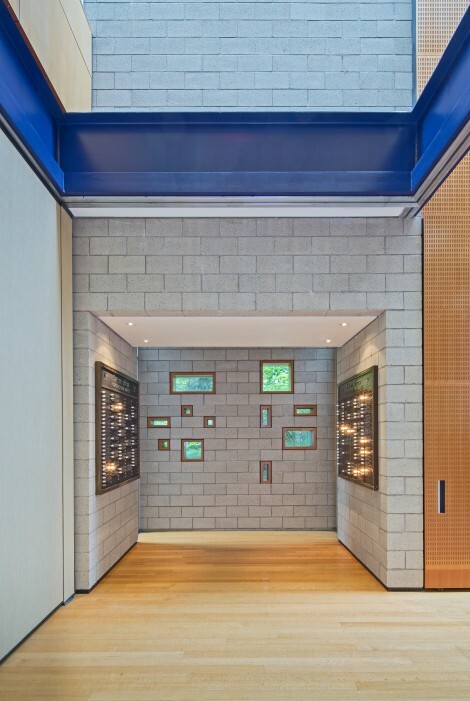 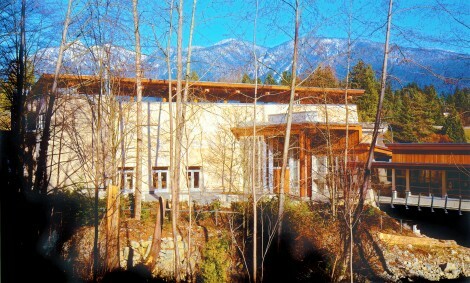 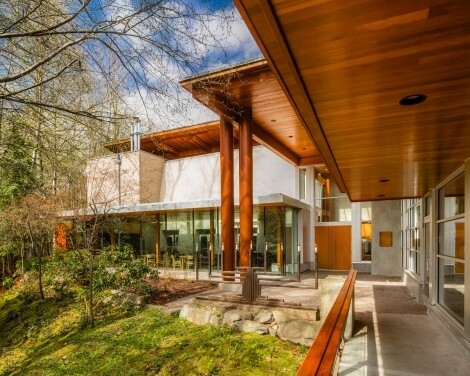 Har-El Synagogue is nestled in a stand of second-growth forest located at the intersection of two major highways in mountainous West Vancouver. 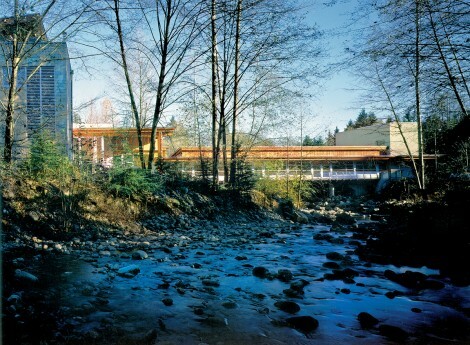 The facility spans a small salmon-bearing creek that swells to river-like proportions during the Spring thaw runoff. 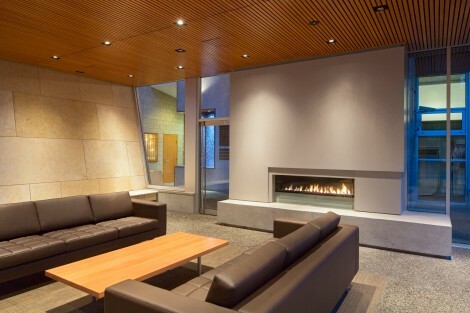 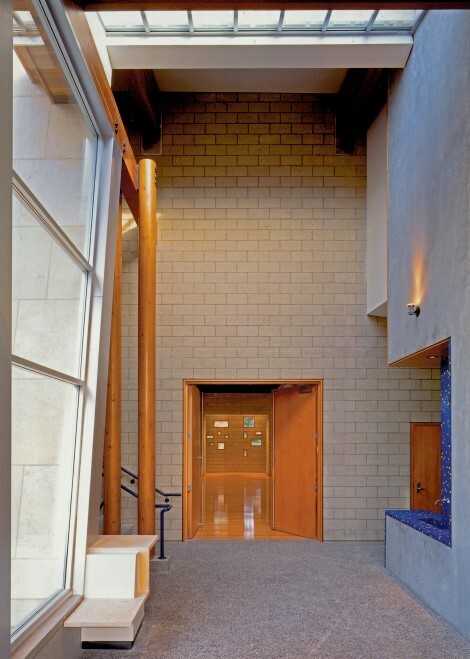 Originally built in 1998, renovation of the sanctuary and social spaces were undertaken in 2010 and the addition of a social lounge was completed in 2013. 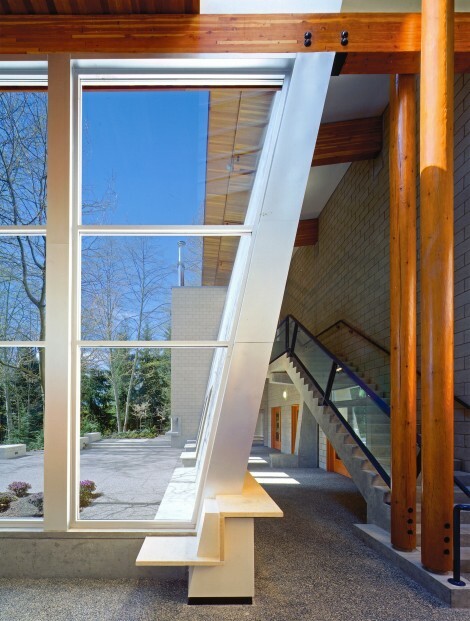 The facility now measures 1,860 square metres and accommodates worship, educational, cultural and social functions. 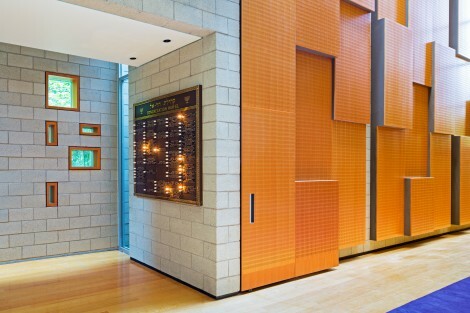 Judaic symbolism features prominently through the use of constituent markers that embody and perpetuate the historical concept of the Ark of the Covenant and the Temple of Jerusalem. 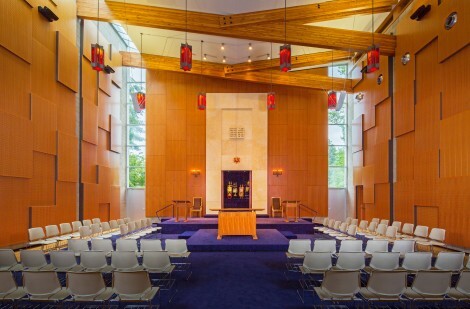 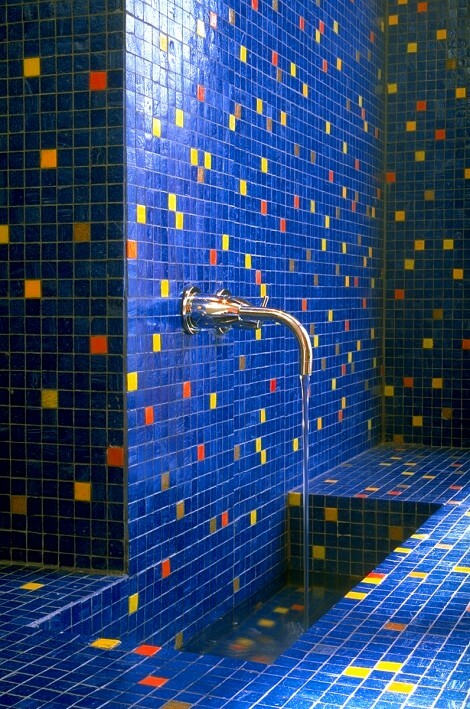 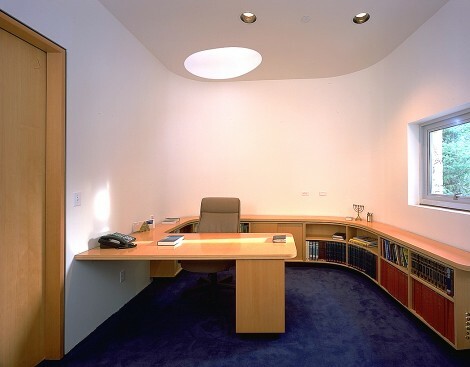 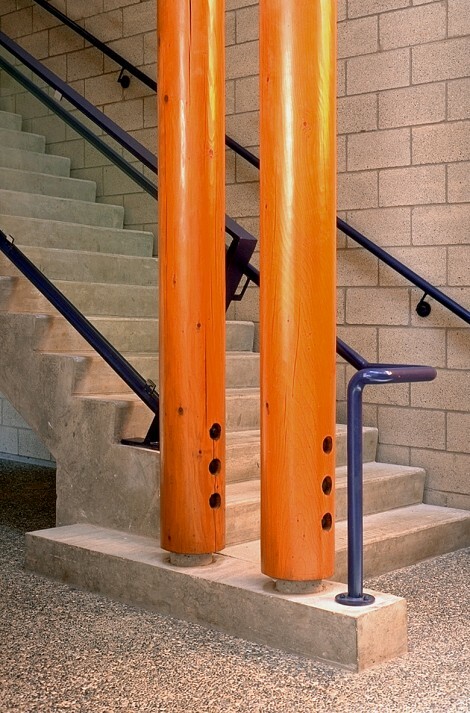 The markers were developed and abstracted from religious, artistic and architectural expressions that have been interpreted and expounded upon in synagogue design for thousands of years.